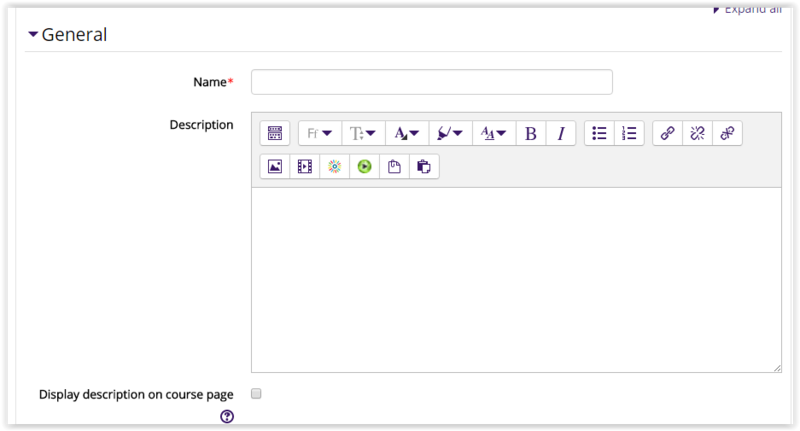 Designate a name or title for the IMS Content package, enter a description (optional), and decide if you want the description displayed on the main course page. Drag and drop your IMS Content area, or use the 'Choose a file' button to locate it on your desktop. The IMS content can be restricted based upon a date, group, activity completion of another activity/resource in the course, etc. NOTE: If more than one restriction is added, students must meet EACH of the requirements before the resource becomes available. By default, students can manually mark the resource as complete, but an instructor can change this to be required. If required, the students can be marked complete by viewing the activity.